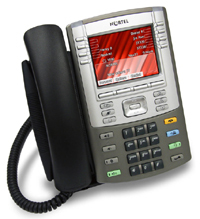 We get TONS of calls each week for technical assistance with Nortel Norstar and Meridian phone systems. 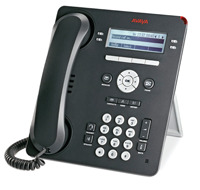 Ditto for Avaya IP Office and NEC SV8100 telephone system platforms. While we DO supply limited technical support to clients that purchased their business phone equipment from Telephone Magic Inc., there is no way for us to be on site or offer no-cost help to non-clients. In a nutshell, how would we stay in business if we gave away the farm (time and technical staff) to callers that never purchased their telephone system from us directly? That out of the way, Telephone Magic DOES have a wealth of information readily available on our website that is FREE for visitors to access and/or download to assist them with minor technical issues or for educational purposes related to their business phone system. Telephone Magic’s main phone system manuals page contains user guides, brochures and information related to the Nortel Norstar and Merdian telephone systems, Avaya IP office IP 500 platform, NEC Univerge SV8100 IP phone system and much more. We encourage everyone to utilize this vast resource as a means to help with minor programming issues, etc. Telephone Magic has long since been a leading source for wholesale business phones, telephone system parts, cards, equipment, etc.. On the other hand, when it comes to actual service related to major problems with your telephone system, we always recommend that you contact a authorized dealer in your local area. While local telecom dealers not always competitive when it comes to pricing for wholesale system phones and hardware, they usually offer prompt and efficient service on the brand they specialize in. They can keep your business telephone system running efficiently and handle any adds/moves/changes you may require. This entry was posted in Avaya, Avaya IP Office, Avaya IP500, brochures, case studies, feature programming, NEC, NEC SV8100, Nortel, Nortel Meridian, Nortel Norstar, phone system manuals, programming manuals, software manual, user guides on July 24, 2012 by jjackson.